Given that Zambia’s average life expectancy is 52 years, and that 119 out of every 1000 babies born here are not expected to live beyond 5 years of age, I knew that I was going to have to face a lot of unwell and dying patients out here in Zambia… but as rainy season gets into full swing, and the anopheles mosquitoes come out in full force, the numbers of deaths climb to new highs. In malaria endemic areas such as Zambia, most people who reach adulthood have developed a partial immunity to malaria; reducing the risk that malaria infection will cause severe disease. Children on the other hand are still developing this partial immunity, leaving them vulnerable to malaria. Over the past few weeks, the Paediatric ward has gone from its baseline of ‘fairly busy’ to ‘totally crazy’. 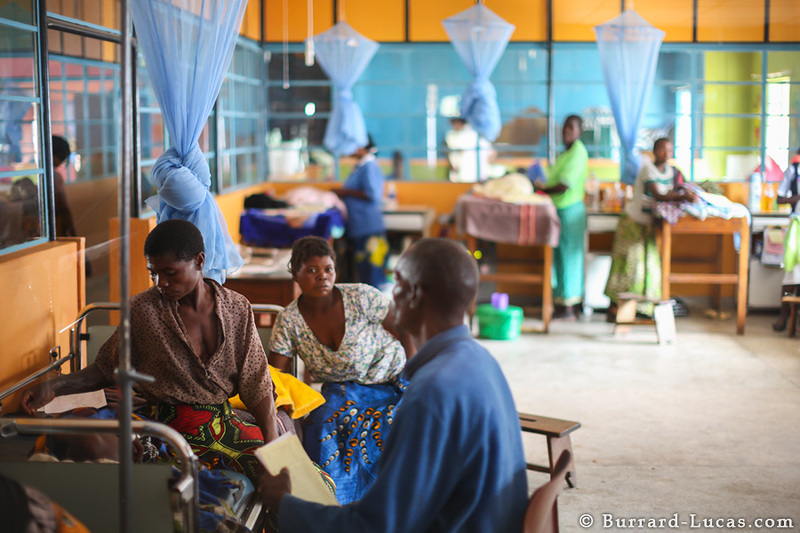 There are often two or three children to each bed (infection control has to take second place when there are more sick children than there are beds), and malaria is demonstrating daily that it is a killer. The WHO estimates that a child dies every minute from malaria in Africa and of all people who die from malaria in Zambia, 50 percent or more are children under 5 years of age. These statistics are easy for me to believe after seeing three children die from malaria during a night shift last weekend. I have seen more seizures since moving to Zambia than I have seen in my entire career to date, with malaria responsible for a large number of these fits. Doctors tend to memorise the doses of drugs that they prescribe regularly. A previous job in geriatrics led to various laxative concoctions becoming deeply engrained in my brain. My time in psychiatry left anti-psychotic and anti-depressant doses imprinted. Now, malaria season in Zambia means I will never forget the dose of Quinine, Artemether and Phenobarbitone. One other thing is certain, the seizures, the severe anaemia and the rainy season mortality figures all serve as an effective reminder to ensure that I diligently take my Lariam tablet every Thursday. I knew malaria was bad, of course, but I didn’t know that children under 5 are at highest risk of death from it. What a tragedy. Let’s hope the work of organizations such as the Gates Foundation will be able to eradicate malaria eventually. So many diseases, so little time. At least you’re doing your part to help those who are suffering. And that is no small thing. How on earth do you cope with all this illness around you. To have 3 children die in one night, must test your resolve. Just reading your statistics about malaria makes you wonder if we are every going to get on top of this and other rampant illnesses. Listening to Bill Gates on the TV this week and his plan to eliminate Polio, which had “only” 270 reported cases last year, this is going to take a minimum of 6 years. Where do we start with malaria. Is it just a vaccine or money that is needed. Those statistics are horrifying. Makes me a little nervous as I’m due to fly to Zambia for the year myself in a few weeks. May even find myself passing through Katete on the odd occasion with work travel.